A little while ago I announced my new book project (post here). 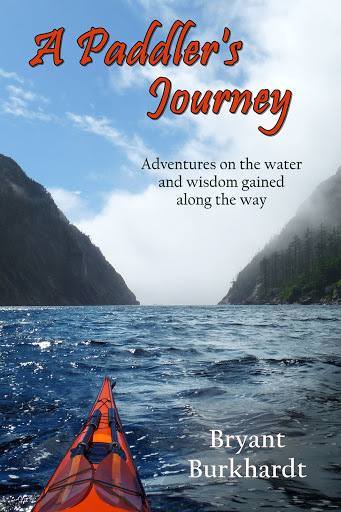 The title is A PADDLER'S JOURNEY and it's a collection of paddling stories that chronicles my progression through the sport while also showing how I grew as a person because of it. 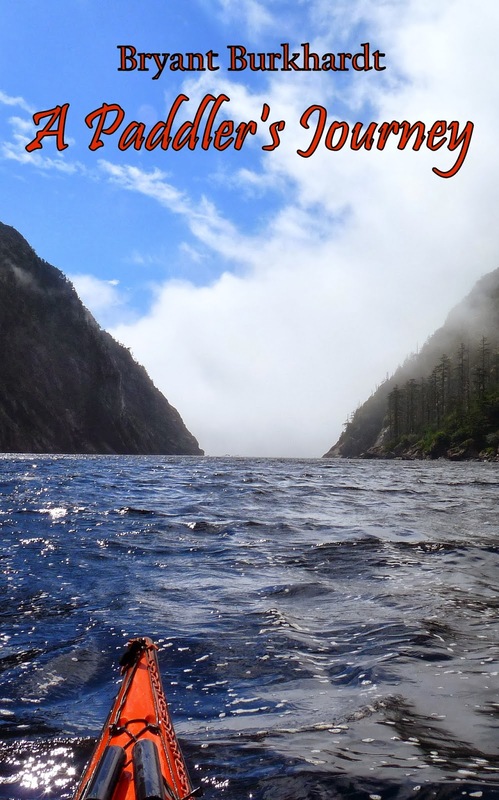 The writing's going well and I've finished about ten chapters, each a slice of my paddling career. It's been a lot of fun going back to relive past events and really think about what I've learned and how I've changed. As a writer, I'm always a little hesitant to share a rough draft. Things can change a lot between the first time you jot something down and when it all comes together in a final version. There's lot of editing left to do, cleaning the grammar and constructions, weaving themes throughout the whole, that ultimately leads to a better reading experience. But this blog has always been more about me sharing my thoughts than polishing and editing the text. So I figure I can share a little bit as I go and hopefully people will enjoy the ideas and recognize that the book will have the polish you have the right to expect. In the distorted memory of childhood, I see a giant flotilla of canoes stretching endlessly down the grand waterway. An honest reckoning would be more like twenty canoes scattered along several miles of a peaceful stream. Whatever the count, we passed many and found ourselves near the front of the pack. The odd thing is, by that time I no longer worried about winning. The joy of paddling had taken over. The splash of the water, the rhythm of the strokes, the cool breeze bringing scents of milkweed and wild sage, combined to sooth my spirit and erase any thoughts of competition. It wasn’t merely the happiness of being out on the water with friends and family, but also a delight in the skill, the sense of knowing how to do something and doing it well, making a connection with the water and using its power instead of fighting it. My family worked as a team and not everyone else did. We possessed something special and had earned it through our experience. I didn’t have the maturity to understand and express such thoughts, but they existed within me. That’s what made me happy. At the top of the biggest rapid, my dad pulled us into an eddy to wait for the trailing boats. I didn’t complain. The race was over; we had already won. It wasn’t about coming in first but about being paddlers. And paddlers watch out for each other. We sat there and enjoyed the moment, I waved to the kids going past, and my dad gave advice to the adults. Hot dogs and potato salad waited downstream, but they could wait. When the last stragglers approached the rapid, we started down with them. It was a shallow, rocky affair, with swift current that pushed boats towards the outside of the bend. As any boater knows, you need to keep the nose pointed downstream and stay to the deepest water. Even such a simple plan was beyond the capabilities of these neophytes, and in short order one of the other canoes broached sideways, bouncing unevenly over the river’s bed and doomed to be pinned on the rocks ahead. My dad called forward paddle and I dug in with all the strength my slight frame possessed. We quickly caught up and my brother grabbed their bow, pulling it downstream with us. I turned to watch with a mixture of understanding and awe as my dad leaned all his weight onto his paddle to keep us straight, and our momentum swung the other boat into line. Side by side we floated until I sliced my blade in and let the water separate us. With room to steer, we both avoided the rocks and made it safely to the bottom of the rapid. Instead of savoring our heroics, my dad steered us towards an empty canoe floating down the river with a father and daughter swimming nearby. They must have flipped with no one around to save them. Once again we charged in with deft strokes to reach the pair quickly. My brother heaved the girl into our boat while my dad and I steered. The man in the water hung on to our stern as we chased down their wayward boat and bulldozed it to shore. I leapt to the grassy bank and grabbed the empty boat while the swimmer caught his breath. My dad smiled at me and I glowed with pride. Time spent draining the boat and sorting out its passengers allowed everyone to pass us by. We started last and finished last. No one else noticed; nor did they say who came in first, or even talk as if a race took place. Yet I still felt like a winner as I ran around the park, slurping sodas and devouring watermelon. To this day I feel compelled to help everyone get ready before we launch. I lift the boats for those who might have difficulty on their own. I work out the shuttle logistics, just so we get on water a little faster. I learned more than the joy of paddling that from my dad that day. Much more. After teaching a five day Instructor Certification Workshop that involved fifteen hour days, I needed a break. With no nearby rivers running, and not wanting to get back into my sea kayak right away, that left the surf. With a friend in town who's a board surfer, it seemed the perfect choice. Only problem: a flat forecast . Technically, the forecast was for 2 foot swell. Hard to believe it ever gets that small, but that's what it said. The only hint at good news was a 1.5' southerly component with a long 19 second period. It wasn't much but it might be enough to create some rides. We chose the most exposed beach we could find and showed up in the morning - the only time available over a busy weekend. A negative 1.3' low tide created an extra hundred feet of beach to carry across, and the shore break was indeed tiny. But there was some action out there. Sets rolled in and created possibilities. We launched and paddled straight out, taking the breaking waves head on to test the energy. Easy enough to paddle through but there was something behind them. The normal reef on the north side created a dumping wave that lost all it's energy. The rocks on the south side that often create a wrap-around break only made for a hazard with the south swells. But in the middle good things happened. We chased the take-off spot all over the place and occasional caught a nice shoulder to ride halfway to the beach. If you hung on and surfed the foam, you made it all the way in. Nothing spectacular. Not an epic day. But just what we all needed. There were more laughs than rides, more smiles than sunbeams. Sometimes all it takes is a little surf to make the world right again. As you may have noticed if you follow this blog, I haven't done a lot of whitewater kayaking lately. There's a couple reasons for this, partly the record drought here in California the past two years, partly my move to the coast, and most recently wedding planning. Well, I'm now a happily married man and the spring runoff is at its peak, as low as that is, so I finally got in some paddling here in the Coastal Range. I made it up to the Cal Salmon the other week, coincidentally during the U.S. National Rafting Championships. It assured lots of people in the campground and easy shuttle partners. I have to say that after paddling the race course (at a leisurely pace) I didn't envy those who tried to sprint down the long stretches of flatwater at these low flows. In spite of the low water, we still managed to get on the S Fork Salmon for a nice day of creeky fun. There wasn't much push in the water but it channelized enough to take out the mank from the bigger rapids. You just had to be careful about what slot you chose as lots of the doors led to nowhere. We took our time and did some scouting and had a pleasantly uneventful day. Everyone else was down on the main river and we had the gorge all to ourselves. A great way to get back into whitewater. The next day we did the Nordheimer and Butler sections on the main Salmon. We started before the race, hoping to done and on the road at a reasonable time. We managed to catch up to some locals at Cascade Falls, the first big rapid, and got to follow their lines through Freight Train. After leading a new river the day before, I got lazy following people and dropped into a sticky hole that I only escaped upside down. A good reminder that you're always responsible for yourself and not to let up. Freight Train went fine and we continued on through Butler, and easier class IV section below. We stopped at the biggest rapid for a snack and a scout and thought it looked fine. Again I followed my buddy and lost my balance coming off the pillow halfway down. No big deal, but I hit a rock in the middle of my roll and went over again. More rocks, more shallowness, and I was scraped along upside down and on my back deck. I probably should have held on since I was making progress down the rapid and I knew it ended in a pool, but I got tired of getting banged up and deciding swimming would be easier. It was, and I got to shore with no problem. It was definitely frustrating/humbling/embarrassing to swim on the easiest section of the weekend. I'm sure that being out of paddling shape and tired at the end of two days of solid whitewater had something to do with it. But mostly it was the lack of mental sharpness, the focus it takes to stick your roll quickly when you need it and hang on long enough to make it past the rough spots. Some more time on the rive would probably cure me, but the water's already gone. It's back to the ocean, which has many lessons of it's own to teach. Hopefully I'll take them with me the next time I get back to a river.